Hey, we love rock and roll as much as the next fan, but tonight we’re eager for something a little different – and Dumpstaphunk will be waiting at Exit/In to play it for us. The New Orleans-based funk group last grabbed our attention at Nashville Dancin’ last summer and they’re back to wow Nashville crowds again with their modern take on a classic genre of music. Joined by soul/pop artist Laura Reed, there’s no way you’ll be able to resist dancing along. After going strong for more than a decade, Dumpstaphunk knows how to put on a show. The five members of the group describe themselves as “soldiers of funk,” and we have to say that we agree. They’ve been guests at the Jazz & Heritage Festival on multiple occasions, and credit that stage as the birthplace of their group. Their most recent album, Dirty Word, seeks to embody their hometown in a whirlwind of funk, dance and excitement. Wherever Dumpstaphunk play, they make sure to bring the spirit of New Orleans with them. Born in South Africa, Laura Reed has come a long way – literally. She now resides in Raleigh, North Carolina, and has gained national recognition for her musical work by having a recent single, “Wake Up,” be featured on the VH1 show Hollywood Exes. The soul/pop artist has her latest album, The Awakening, out on the market and is now wrapping up a tour with Dumpstaphunk. 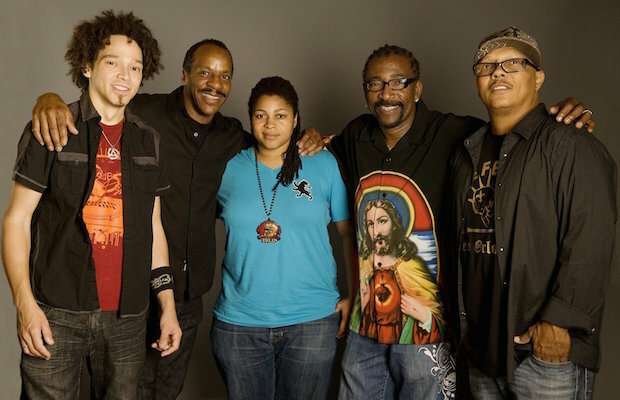 Dumpstaphunk and Laura Reed will perform tonight, Feb. 19 at Exit/In. The show is 18+, begins at 9 p.m. (doors at 8 p.m.), and tickets are available for $15.